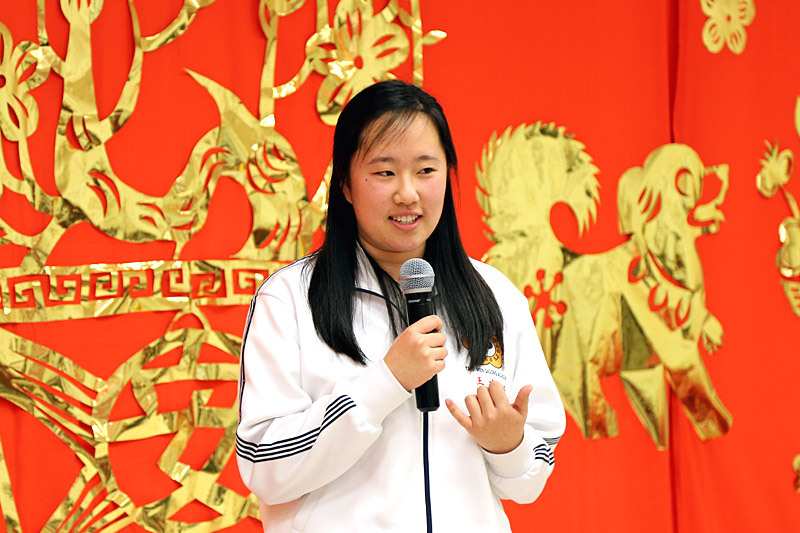 Gill Wang who is graduating from high school this year shares how she leverages the practice of qigong so that she can stay on track and face all challenges and changes with a peaceful and calm attitude. According to the Chinese zodiac, this year is the Year of the Dog. For Chinese, dogs are often associated with wealth and prosperity besides being the symbol of loyalty and reliability. To welcome New Year, joyous traditional celebrations often go on for days. Yuanxiao Jie (元宵節) or the Lantern Festival, the fifteenth day of the first month on the lunar calendar, marks the conclusion of these festivities. To celebrate this occasion, on March 3 (Sat. 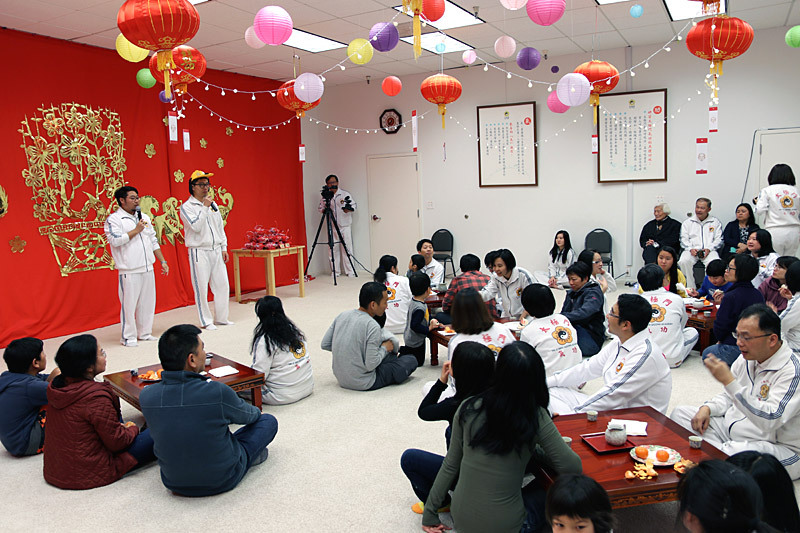 ), Tai Ji Men Qigong Academy San Jose branch hosted a tea party in the city of Cupertino, California. Held at Tai Ji Men Qigong Academy, adorned with festive decorations, the event was full of ingenuity and blessings. Many community members attended the gathering, who enjoyed Eastern refreshments, solved "lantern riddles," and brought home "lucky gifts." The candid sharing of a mother and daughter duo was the highlight of the event and shed lights on questions like: In whom does a rebellious teenage confide? How does a mother balance her expectations for her child with reality? During the sharing, lighthearted laughter filled the academy as the attendees experienced the joy of the "energy family." On this special day, riddles were attached to colorful lanterns embellished with neon lights. The decoration helped the guests travel back in time and reminisce on their childhood New Year celebrations in Asia. The atmosphere was familiar and warm. The event also provided American-born Chinese the opportunity to connect with and learn about Chinese culture. The attendees are solving the lantern riddles for the Year of the Dog, celebrating the Lantern Festival. On this occasion when family members congregate, Tai Ji Men especially arranged a seminar titled "Seven Eleven, Parent-child Relationship Never Ends," sharing secrets to a successful parent-child relationship. Gill Wang is a high school senior experiencing high academic pressure and coping with the stress of getting into one of the most competitive colleges in the country. She thanked her parents for their understanding and support during her most rebellious teenage years. Gill Wang shared, "The close relationship between us has always been very natural. We often watch television programs that we like together, and we laugh together. I am also happy to share with my mother every moment of my life. She is the first person I talk with about anything, such as the time when I stumbled at a rally in front of the entire school or the relief I felt after I successfully led my first FBLA (The Future Business Leaders of America) meeting." Gill talked with pride about the fact that she had followed in her parents' footsteps and having practiced qigong at Tai Ji Men since childhood; therefore, they share the same core values. Mrs. Wang was wreathed in smiles as she shared her way of getting along with her daughter: she always accepts Gill as she is and at the same time learns from her. Mrs. Wang thinks there is a fine line between invalidating and respecting your child. If it is done without the appropriate balance, the child will shut down and refuse to communicate by answering, "I don't know," "It's nothing," or "It's okay." She often prompts her child by asking, "Do you think this is the right way to do or say it?" With this kind of parental guidance, Gill learned to think for herself. Asian parents often have high hopes and dreams for their children. They envision their children will one day become important and successful. Mrs. Wang pointed out that success was highly associated with happiness. She and her husband worked hard to create a happy parent-child relationship. "Every time before Gill's dad travels abroad, they will take a photograph of her dad giving her a piggyback ride. We as parents will grow old and eventually will not be able to carry her. We are very grateful we have given her the greatest gift: bringing her to Tai Ji Men. She has learned to manage her life and help others in a happy environment." Additionally, the guests were pleasantly surprised to find that they got to bring home handmade, delicate lanterns made with Hakka-style floral print fabric from Taiwan. These lanterns are believed to be auspicious and capable of lightening the hearts of all their family members. Tai Ji Men Qigong Academy is a global, non-profit organization that promotes traditional Chinese culture and advances physical, mental, and spiritual health of world citizens. We hope to provide all ethnic groups the opportunity to experience the essence of Chinese culture through various events.